Where else in the United States could you go see a horse race or two, bet on the ponies, walk across the street, and catch a major-league baseball game. You just have to love Doug Bevis the Mayor of Oldsmar. “I would say that we’re still in the running and I think we have a site that offers things that some of the other sites in Hillsborough and Pinellas don’t offer,” Bevis said. 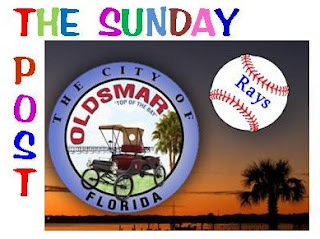 In case you are not familiar with Oldsmar, it is a Pinellas County City, lying along the border between Pinellas and Hillsborough County North of St. Petersburg with a population of about 13,800. As the Third Season, the time between the end of the World Series and early spring training, winds down it has been quiet especially in Hillsborough County and Tampa. According to the Rojas, Bay News 9 piece Mayor Bevis indicated the Rays are hoping to pick a site in the next five months. Wonder of Kriseman knew that. That would be interesting since MLB likes to focus on baseball during the season and leave the politics to later. When Bevis first announced that the 120-acre site near the Tampa Bay Downs racetrack might be available, a lot of people just laughed it off. Apparently, the Rays did not. Maybe Mayor Kriseman and St. Petersburg would be better off if he gave the Rays a little pat on the fanny and endorsed the Oldsmar location. With a series of nightmarish problems, a number of huge projects, and a struggling south side, drumming up public dollars for a gazillion dollar baseball stadium may be a big campaign downer. It will also be interesting to see if, when and how much the Rays put up for the Mayor's re-election campaign. For now, my money is on Oldsmar. Where else in the United States could you go see a race or two, bet on the ponies, walk across the street, and catch a major league baseball game.